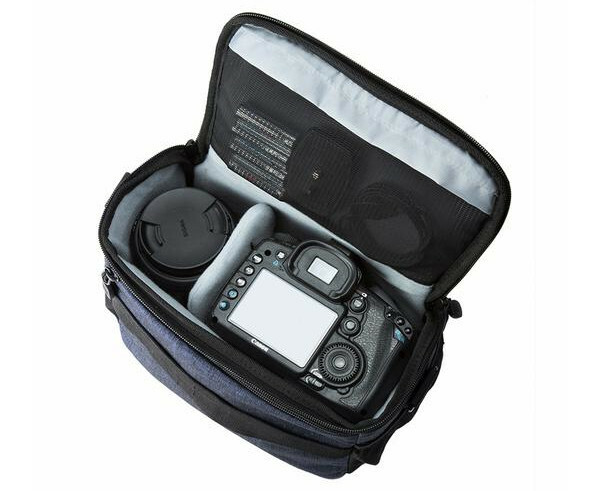 Bagsmart's shoulder camera bag has three main compartments, six mesh pockets, and two padded dividers. It can carry one large camera, 1-2 lenses, a flash, your phone, various chargers, memory cards, and other accessories. All your equipment is protected from bumps and shocks, and the bottom is reinforced with extra-thick vinyl material. On the outside of the bag is a padded shoulder strap, which is not only detachable, but also adjustable. You can also swap it out for a trolley strap, which attaches nicely to the top of a suitcase. There's even an included rain cover to keep all your devices dry. We're giving away 14 of these bags, but you can also purchase one from Bagsmart for 30% off with our exclusive coupon code AX8FDN06B64A. The code works from now until April 4th, and can be used with any color bag. 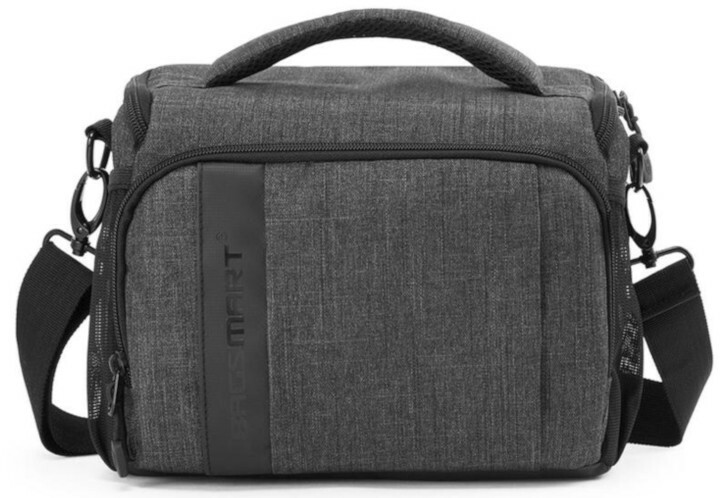 If you know someone who might want this or anything else sold by Bagsmart, the company has a referral program — give your link to your friends, and they can get 10% off any purchase, and you get a free organizer bag. The contest will run from March 20th, 2019 until 11:59PM Pacific Time on March 27th, 2019. Fourteen winners will be selected, and each will receive one shoulder camera bag from Bagsmart. The contest is open to all countries. Good luck!